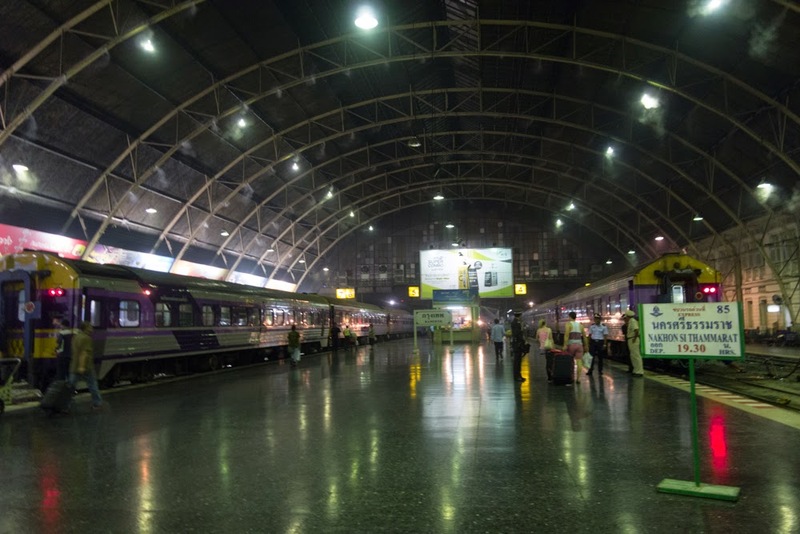 Of all the overnight train rides I was looking forward to with anticipation, the one from Bangkok to Chiang Mai was at the top of the list. I knew plenty of people who did it, and I felt a strange desire to follow in my friends’ footsteps. Also, I heard that train rides in Thailand are quite comfortable, unlike the legendary throttle of the train in Myanmar. Furthermore, I had a bottom berth all to myself, which I’ve learned is far more comfortable that the narrow and windowless top berth. The particular car we were on was built in exactly the same design as the train from Buttterworth to Hua Hin. During the day, passengers sit in booths facing each other, then a bed is made from the bottom two seats, and the top berth is pulled down from above. Our train car was populated exclusively by western tourists, each of them wearing pajamas, braiding their hair, reading paperback literature or making notes in hand-written journals. I felt out of place with a laptop and kindle, though I am hardly older than most of these gap-years. Not one of them ordered food on the train, which seemed strange to me because the food was excellent and reasonably priced. Much better than the junk food I could have bought at the station. We had an excellent seafood dinner with fish, shrimp, tom-yam soup, rice, and two stir-fried dishes. I believe the total was around 400 baht. After riding the overnight train in Myanmar, I appreciated the trains in Thailand a lot more. The journey is hardly bumpy and the train sways very little. The bathroom is clean, has toilet paper, and there is a sink with running water for brushing teeth. Train attendants are awake throughout the night to make sure things stay tidy. The journey is quiet, smooth, forgettable even. At 8:00 am they woke up us for breakfast. Slowly the staff cae around and reconfigured the beds back into seats, and we enjoyed a nice meal of congee. Up until this point, my train journeys had ended around 7:00 am, so waking up and spending another three hours on the train made the ride feel extra long, but we pulled into Chaing Mai station at 10:39 am, 6 minutes ahead of schedule.